The Queen of Rock ‘n’ Roll, Janis Joplin is best remembered as a rebel with a porsche festooned with psychedelic butterflies and an off-the-wall sense of fashion. Along with her incredible voice, of course. 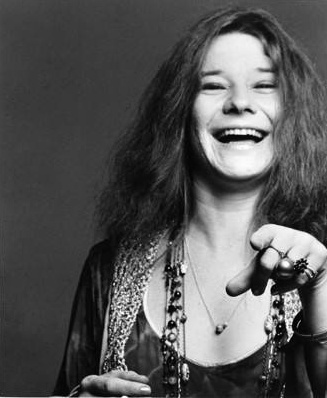 Here are some less-known facts about Janis Joplin. The next time you’re hunting up the most competitive odds for the sports betting NZ you enjoy and she’s playing in the background, you can impress your friends with information on her they’re no doubt not aware of! The last songs that Joplin recorded were Mercedes Benz and a greeting for John Lennon on his birthday. On the 1st of October, Joplin sang Happy Trails, an old cowboy song written by Dale Evans for the late Beatle. What makes it kind of spooky is the line, Happy trail to you/’Til we meet again. She called the song Happy Birthday John, Happy Trails, and it was released on the box set of her music in 1993. Lennon went on to reveal that the greeting arrived at his house after Joplin had died. Joplin was known as a heavy drinker, and Southern Comfort was her tipple of choice. In fact, the whiskey-based liqueur became so synonymous with her, and she boosted sale of the liquor by so much that she managed to convince them to thank her with a lynx fur coat as thanks. Joplin got a tattoo by the legendary Lyle Tuttle in 1970. He put a design on her wrist, a symbol representation women’s liberation, and a heart over her left breast. She spoke of wanting a little decoration, and explained that the one on her wrist was for everyone, and the one on her breast was for her friends and herself. She then added that it was a little treat for the man she was with, likening it to icing on a cake. Two of Joplin’s biggest influences were Leadbelly and Billie Holiday, with the singer claiming that the first album she’d ever bought was by the former. The book on Holiday’s life was, according to her friend Richard Hundgen, like a bible to the singer, and one that she kept near her for all her young life. The frontman for the Doors was apparently very turned on by Joplin after she broke a bottle of Southern Comfort on his head and knocked him out cold. He loved how violent she was, and the fact that she had no qualms about taking him on physically, and some said he fell for her, metaphorically and literally, hard. The day after she boxed his ears Morrison got her number from Paul Rothchild, the producer, and called. But Janis had no intention of spending any more time with The Lizard King, and she never returned his messages, leaving Morrison broken-hearted, according to some.